Tribute Issue of The Newtowner coming soon! 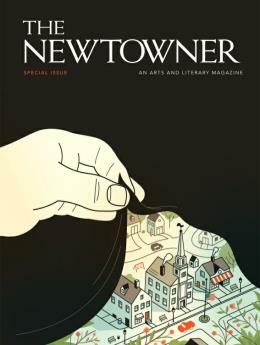 For the past few months I have been volunteering with The Newtowner on a very special project: a special tribute issue of the magazine offered as a “healing gift to the people of Newtown” after the tragedy that they have faced. The issue features work by such notable authors as Wally Lamb, Lois Lowry, Katherine Paterson, Steven Kellogg, and Yusef Komunyakaa alongside letters from national leaders like Richard Blumenthal and Chris Murphy and the people most directly impacted by the crisis: the people of Newtown. Teachers, students, and residents of the brave town offer their own words of love, hope, and compassion, showing us that good can come from even the most heinous of actions. Though the issue is not yet available (you can pre-order copies here), I can tell you from my work with it that it accomplishes what it has set out to accomplish: it examines the tragedy with a focus on the victims, not the perpetrator, and offers itself as a beacon of light and hope to cut through the darkness and despair. It shows us the strength not only of the people who have been forced to heal, but also of the art and literature that can help mend broken hearts and shattered lives. I will post something closer to the publication date once it is finalized, but I wanted to let all of you know that this has been in the works. There are 14 days left to the campaign of supplying each family in Sandy Hook with an issue of the magazine, and you can do your part by donating anything that you can to their indiegogo page here.